Over the past 25 years, Ruven Bamberger has worked alongside some of the greatest Chasidic singers on some of the biggest stages all over the world. His repertoire includes songs of Moshe Ben David, Avraham Fried, Shweky, Chasidic genre and Israeli music. 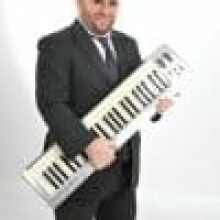 Reuven, who resides in Antwerp, Belgium, is well-known as one of the top keyboard artists in the Chasidic music world.